The all new Axopar 28 Cabin will stop you in your tracks and make you take a second glance. Truth be told, all things on a boat are trade-offs and the wider and more voluminous any boat’s bow is, the more impact it will have when the boat starts slamming into waves. In the case of the Axopar bow volume is minimized to the extreme in order to minimize those impacts. But, does this mean the available space in the bow is also minimized? Absolutely. In fact, there isn’t even room for seating in a V-shape, and only the port side of the bow cockpit gets a bench seat. 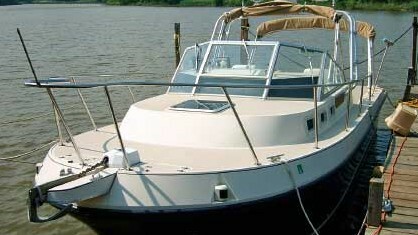 (A filler is available to turn the bow into a sunpad). It’s a trade-off that Axopar, mindful of boating on the ravaging northern European seas (the company is based in Helsinki, Finland, though the hulls laid up in Poland,) is perfectly happy to make. The Axopar 28 is designed to take on tough conditions, while keeping the passengers comfortable and secure. 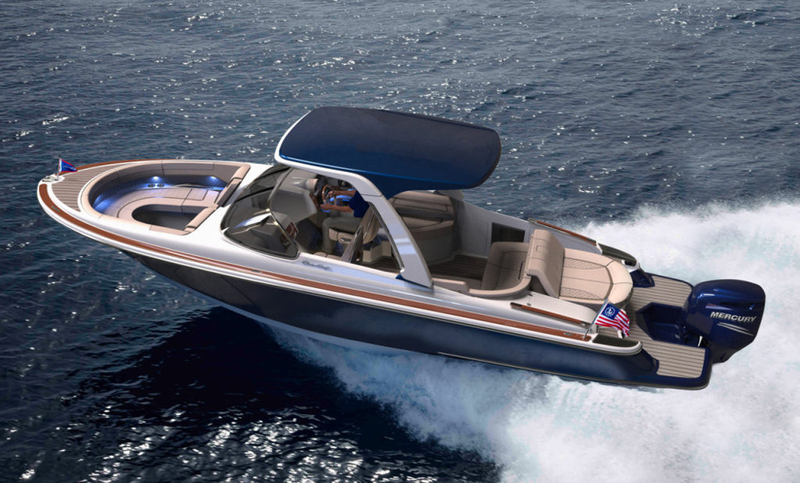 Like the hull, the cabin is designed for comfortable travel above all else. Its pilothouse design houses forward-facing seating for up to five people. 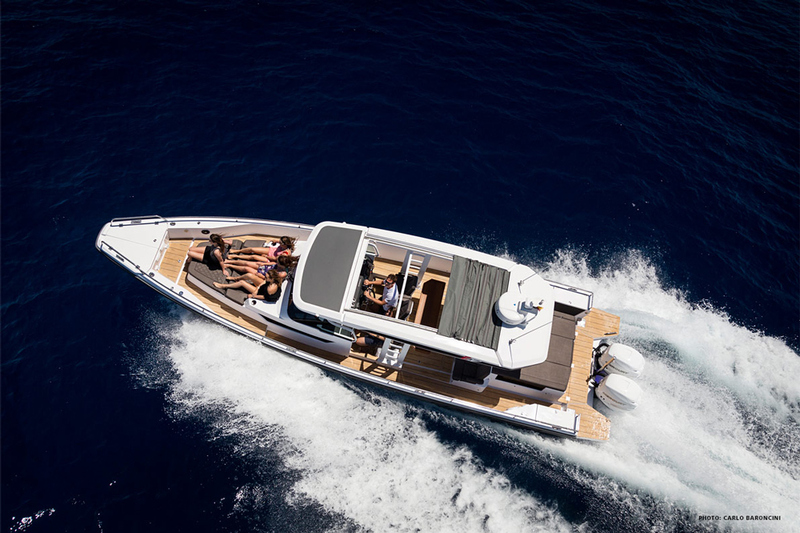 Side opening doors and a slide-back overhead sunroof allow you to air out the interior with fresh ocean breezes, while a collapsible dinette table makes it possible to turn the pilothouse into a social area. Axopar wisely locates the head forward of the helm in a separate compartment, which is accessed by a swing-open front door. Here’s it (and the odors that sometimes accompany raw-water heads) is completely isolated. One beef, regarding the cabin: the grab rail extends above the fiberglass at the rear of the cabin top, and when we walked around the boat we almost discovered the head-bumping hazard the hard way. If we were ordering an Axopar for ourselves, we’d ask that the roof rails, which are an option, be either modified or left off. What about sleeping arrangements? In its stock form the Axopar 28 is clearly a day-boat. But you can order it with various aft configurations, one of which incorporates an aft cabin that sleeps two. Other options include a wet bar with a sink and refrigerator, or aft-facing seating with stowage underneath. Several aft configurations are available, including one with a small cabin behind the pilot house. Different configurations are also available if a pilothouse isn't quite your style. The 28 model line includes an open center console version - with a rocket launcher-equipped arch, for you anglers - and a T-top version. In both cases bow arrangement remains the same, and the front of the console houses the optional head compartment. Another advantage of the Axopar's unusual hullform is its performance. 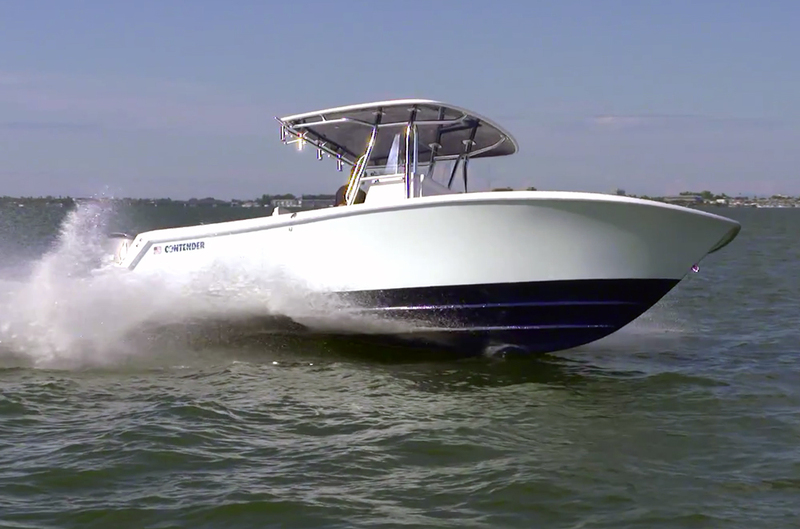 This is a single-engine boat, while many modern 28-footers require twins to attain acceptable cruising and top-end speeds. With a single 150 HP outboard, the Axopar can cruise at 22 MPH and hit 40 MPH at wide-open throttle. With 250 horses, cruise jumps to 30 MPH and top end breaks 49 MPH. And with a single Mercury Verado 350 outboard, the Axopar can cruise at 32 MPH and break 55 MPH at top-end. Few—very few—boats of this length can even come close to such figures with a single powerplant. Part of the reason lies in that narrow, wedge-shaped hull, and part is due to the twin stepped design (watch our Boating Tips Video: Stepped Hulls if you’re not familiar with how steps can increase a boat’s speed and efficiency). But part of the credit also goes to the design above the waterline. 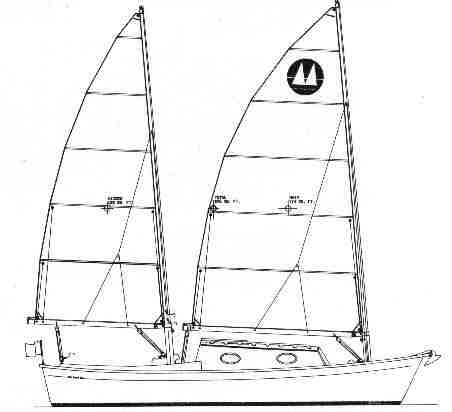 The boat’s center of gravity is kept extremely low, more akin to that of a RIB than a cruiser, eliminating most of the bowrise common in other boats and boosting stability at the same time. Building with minimal weight is another way the Axopar manages to get by with minimal power. The boat tips the scales at a mere 4,277 pounds. As a point of reference, a Contender 28 center console weighs just over 7,000 pounds; a Boston Whaler 28 Outrage is 6,200 pounds; and a Grady-White Freedom 285 weighs 5,980 pounds. These are boats without cabins, which should give you an inkling of just how light the boat really is for its size and nature. Another weight-savings, albeit a minor one, comes from the stern configuration of the boat. Axopar went with a transom-free design, with a small step up to swim platforms that extend aft on either side of the engine. A rail shields the outboard and provides security. This arrangement is just one more unusual touch, but it will work out particularly well for anglers. You’ll be able to bring fish right up to a low-slung platform no matter which side of the boat you’re fishing from, so landing dinner will be a piece of cake. The transom-free design also allows for easy access to the outboard, which will be nice whether you need to look at the prop or check the oil. The stern of the boat is essentially open, but there's a single step up from the cockpit and a rail in front of the outboard. Whether or not the unusual design of the Axopar will be accepted by the American marketplace, with its thirst for monster sunpads and luxurious loungers, is yet to be seen. But it should be noted that the European market has basically gone ga-ga over the boat. 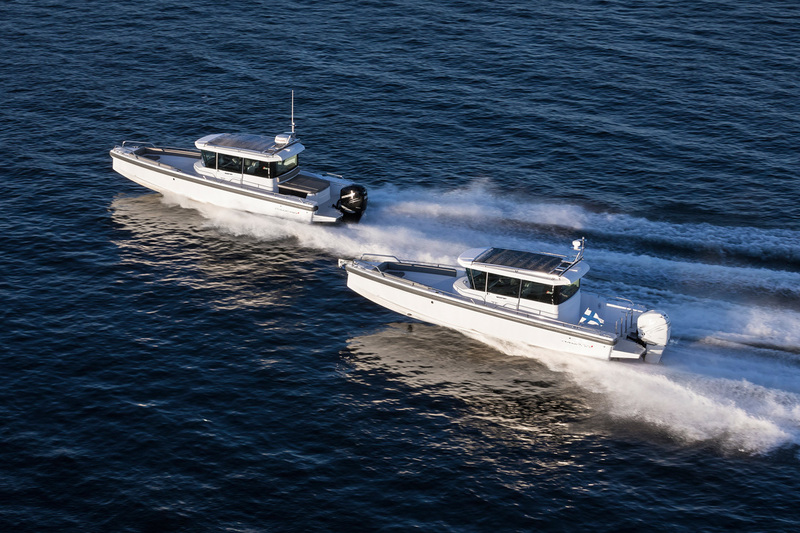 Upon its introduction in Sweden in 2014 the 28 won Motorboat of the Year. In 2015 it won Best of Boats International in the “Best for Fun” category. In 2016 it won Motorboat of the Year in the UK and European Powerboat of the Year. And in 2017 it was named Motor Boat of the Year in the Sportboat and RIBs category. Is an Axopar 28 Cabin the right boat for your needs? That’s a question only one person—you—can answer. 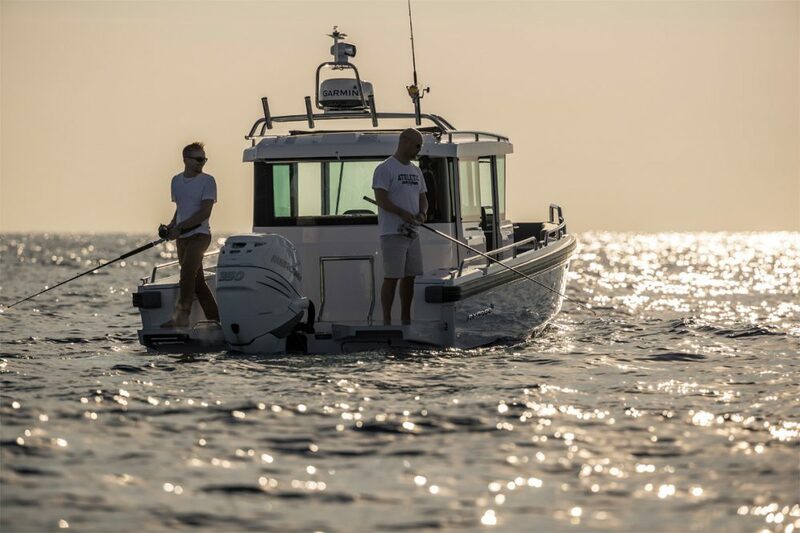 But we can say one thing for sure: If you want to have the most unique boat in the marina, exhilarating performance, and a smooth ride, this is a model you’ll definitely want to check out. Other Choices: It’s rare indeed that we say this, but there really aren’t any similar boats in our database to compare with the Axopar 28 Cabin. 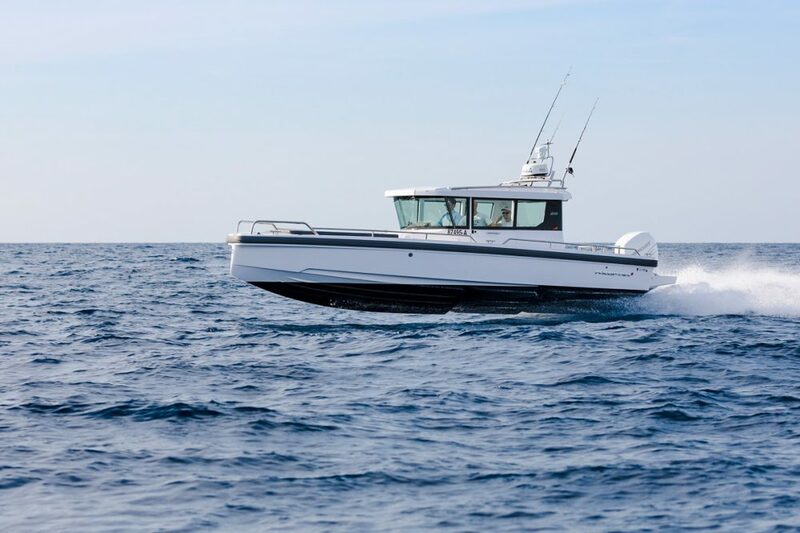 Interested buyers might also look at a pilothouse boat like the Beneteau Barracuda 7 or a cuddy boat like the Boston Whaler Conquest 285, but truth be told these are all very different vessels. 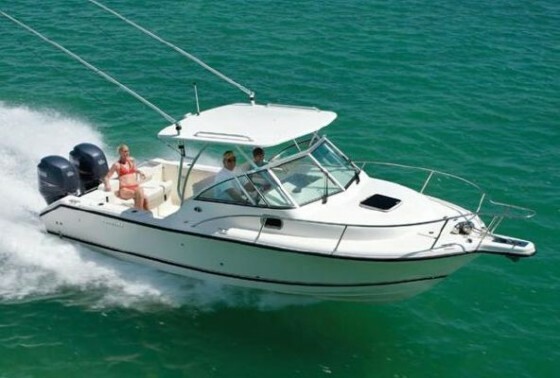 See Axopar 28 Cabin listings.